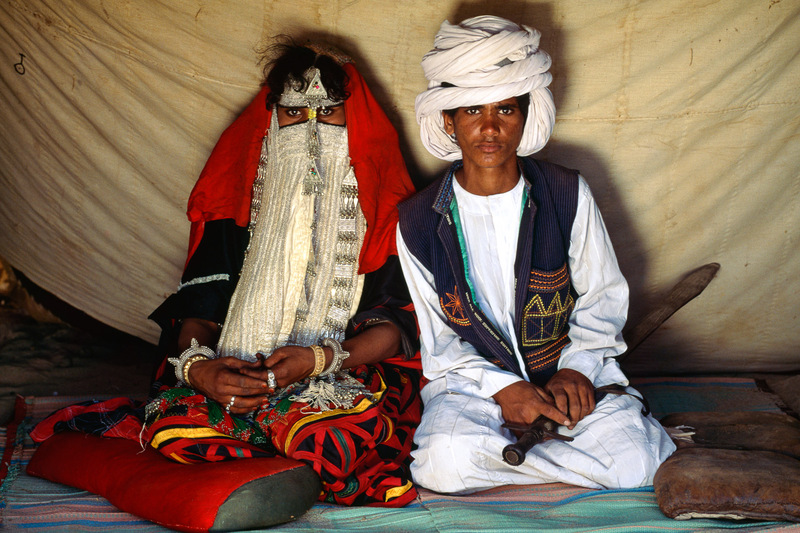 A Rashaida bride never appears in public during her wedding celebrations, but she visits her husband after dark in the privacy of his tent. For six nights, she sleeps with him, rising before dawn to return to her tent. On the seventh day the couple begins to live openly as man and wife. The silver threads and pendants decorating the brideâs wedding mask are gifts from her husband, whereas the groomâs ceremonial sword is given to him by his parents.